An 82-year-old woman was approached by a man in Sierra Vista, Arizona, in a Walmart parking lot when he began to threaten her. "This is your day," the man told her. "You are too old to be alive anyway." He then took her cane away and began beating her with it. However, he was unaware that she was carrying her handgun, which she quickly pulled from her purse and began firing at the suspect. Witnesses nearby were alerted by the gunshots and came to help the elderly woman. The suspect was taken into custody by police shortly afterward. Impending charges include attempted murder. The courageous woman later told the media, "If I go naturally or to a sickness or something, fine. I'm ready to go, but I'm not ready to let some idiot like that take me out." The next time you hear some sniveling political type whinning about 'gun violence' remember that sometimes the gun violence saves someones grandma. Amazing how animals like the one in this story learn their manners when confronted by lethal force. Good job, granny. Next time you hit the range, the ammo is on me. 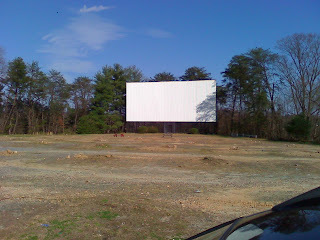 A news story last year highlighted our local drive in as one of only 11 left in the state of North Carolina. Unfortunately, as of March 15th, that number has now been reduced to 10. The holes you see are where the original, 1955 era pole-mounted speakers stood last weekend. The picnic tables still stand, but the benches and chairs for the 'front row' crowd have already been moved to the concession stand. Reaction to the news locally has been overwhelming. 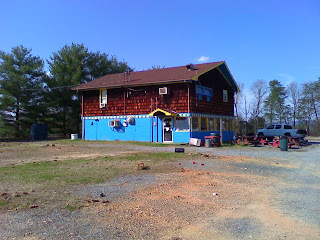 Hardly anyone within driving distance of our town hasn't watched a movie at "The Bright Leaf." My parents took my sisters and me to see movies there on hot summer Friday nights, crammed into the back of a huge 1967 Ford Station Wagon, hoping we'd fall asleep so they could watch the second feature in peace. In the sixties there were Westerns- John Wayne and Clint Eastwood. The Seventies brought Vanishing Point, Billy Jack, and the "Trinity" Westerns. Always, always a double feature. Sometimes, if you could stay out late, all night shows. Dispite good attendence and enthusiastic crowds, one thing kept working against the Bright Leaf. What had been a lonely stretch of a two-lane blacktop in 1955 was now the center of a major part of town, complete with four lane highway, strip malls, and all that comes with progress. The property, coveted by local realtors, was valued at over $1 millon dollars. (And I'm sure the lease didn't even cover the property taxes each year.) So for reasons not given publicly yet, the remaining owners of the land refused to renew the lease this year, and gave the drive in owners 30 days to get out. 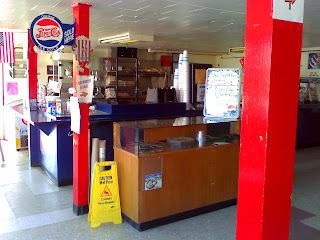 One rumor going around is that a major food franchise may put a resturant there. I hope not. That would just be cruel. For me, and thousands like me, this was more than just a place to have a movie. This was where you went to meet friends, cook out on the back row, play pinball, or wonder if this would be the place you'd get your first kiss. 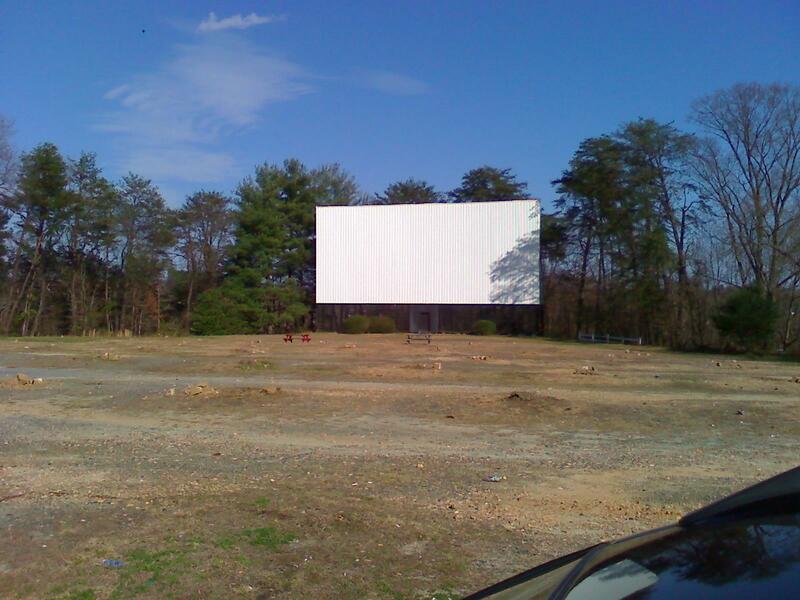 The Bright Leaf Drive In, 1955-2010. Rest in peace, old friend.